Are you thinking of filming in NYC? Did you know that just sixty miles north of Manhattan there is a very credible film production alternative, inclusive of major tax benefits? In 2001, Summer Crockett Moore and partner Tony Glazer founded their independent film production company, Choice Films. Together, the duo brings a lot of industry knowledge, and success, to the table. Tony Glazer is also an award-winning writer, director, and producer. Tony’s plays have been produced in New York, New Jersey, Los Angeles, Chicago, Philadelphia, England, and Canada. Their company Choice Films has 18 years of production experience producing for film and television and has won over 25 awards for excellence in Theatre and Film. Though Choice Films started in New York City, it has expanded its scope to include New York’s Hudson Valley, where help from The Hudson Valley Film Commission makes it easy to find local crew, cast, locations, vendors, and production and post-production facilities like Umbra of Newburgh. In Newburgh, Umbra Stages is Choice Film’s newest project. Enhanced environments: this is a new twist on classic film production techniques. 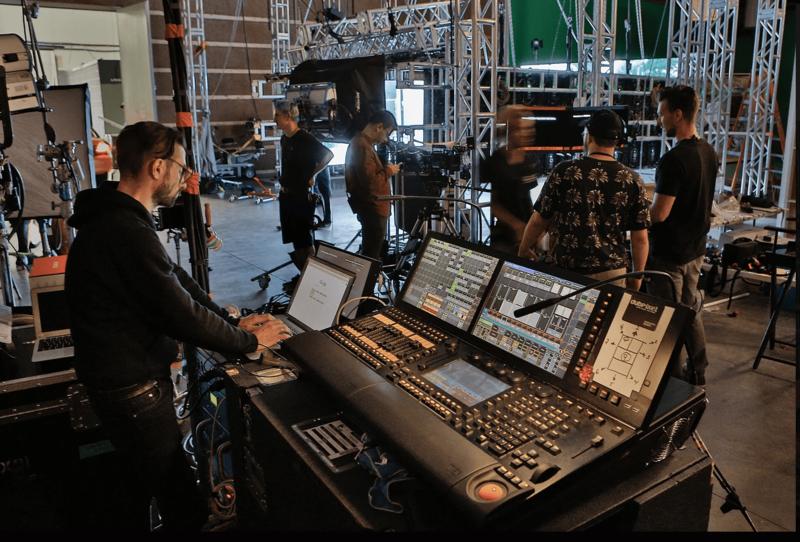 It seamlessly merges a production stage environment with set lighting. This allows the crew and actors to work in an environment that the audience experiences as the real thing, for instance, as a street in Manhattan, instead of in front of green or blue screens. Umbra offers just such an enhanced environment for crews. Located in the upper-west end of Newburgh, Umbra Stages boasts a 16,000 square foot soundstage, and numerous resources for film crews. (read more about the property on our property listing here.) It hosts a state-of-the-art, NYS Qualified soundstage and offers full production services. As a result of incentives created by NY’s Empire State Development, NY’s $420 million film incentive program is one of the most generous in the nation. The New York State Governor’s Office of Motion Picture & Television Development (MPTV) offers film, television and commercial production and post-production tax credits for qualified expenditures in New York State totaling up to 40% in many cases. This makes Umbra incredibly attractive. Crockett Moore and Glazer describe their facility as a “turn-key location,” because of its ability to house multiple aspects of film production all in one location. 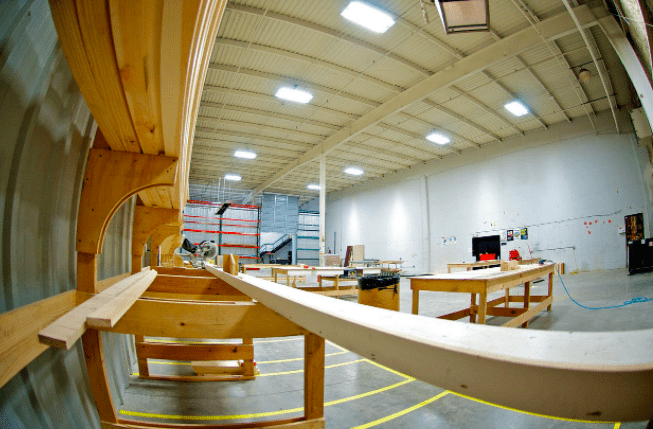 “Instead of building your sets somewhere else and then having to transport them, which takes time and money, you can literally construct your set here, take it from when it’s raw wood all the way through the assembly line down to having its finishes put on. Then it loads right to the stage,” explained Crockett Moore. Crockett Moore and Glazer have partnered with productions with a wide range of budgets, some as low as $100,000. For them, it is important to give filmmakers access to the necessary tools so they can share their stories. And Umbra Newburgh is the perfect place to make that goal a reality. Located at the intersection of Route 84, Route 87, 15 minutes from Stewart Airport, and only 1 hour 15 minutes from New York City, Umbra Newburgh is extremely accessible as a film location. It’s huge parking lot can easily facilitate large and small trucks. Not only does Umbra Newburgh offer all the amenities a film production could ask for and more, but it’s also situated in the Hudson Valley region which offers every kind of location: lakes, farms, pastures, gritty urban landscapes, historic streets. 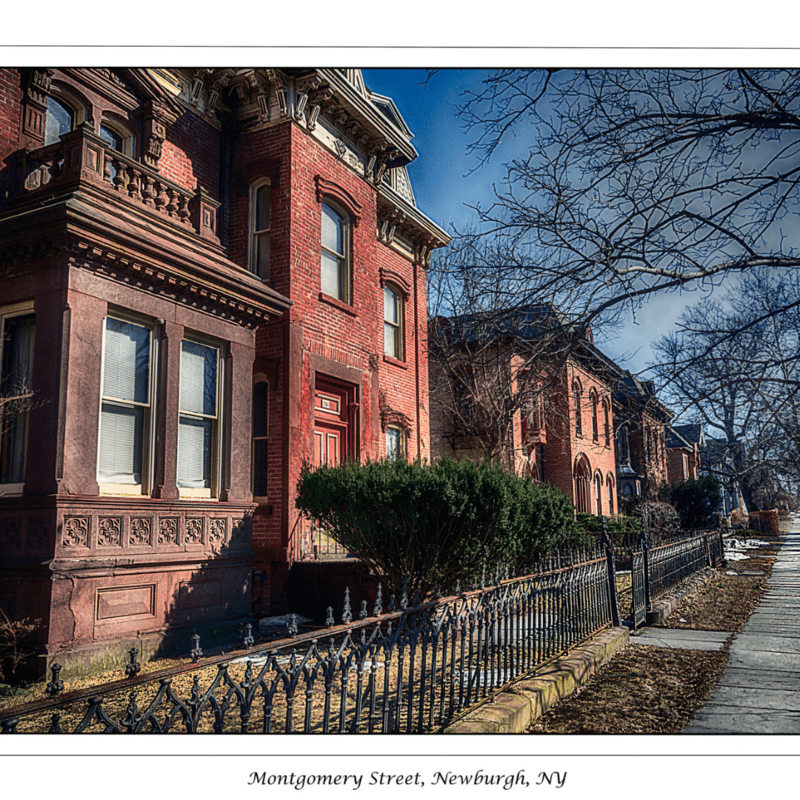 The city of Newburgh is home to New York State’s second largest historic district, the East End Historic District of Newburgh. This is a city where film makers can find historic architecture, cobblestone streets, and magnificent Hudson River views. Since filming in New York City, especially Manhattan, can eat up a large chunk of film production budgets, and applying for and receiving a film permit can take time, Newburgh can offer an ideal filming location at a fraction of the cost. Consider the fact that the architects of New York’s Central Park, Calvert Vaux and Frederick Law Olmsted, also designed and architected Newburgh’s Downing Park, and you quickly understand the possibilities that park offers as a film location. “We staged Queens, the Bronx, Staten Island, New York City, and Greenwich Village all throughout different streets of Newburgh,” said Crockett Moore. “We’re training people to … make it far easier for them to gain entry level into the film business,” explained Tony Glazer. Glazer and Crockett Moore’s goal is to develop a workforce right in Newburgh for film production. They want to train Newburgh residents in the business, and employ local workers in their film production at Umbra rather than importing workers from New York City. Umbra collaborates with local vendors and businesses, including catering with Pamela’s on Hudson and The Wherehouse. Umbra also partners with REEL Newburgh and OCNY Film. Umbra Stages and Choice Films continue to grow, sometimes faster than the partners imagined. Crockett and Glazer continue to work with vendors around the area. The hope to potentially add metalworks/ welding and crane vendors, in addition to the VER Camera and Light House Inc. grip and electric vendors Umbra already has. The duo also hopes to collaborate with others in the community to create a Newburgh Film Festival in the future. Schedule your studio tour today! You can contact Summer Crockett Moore at 917-207-5015.